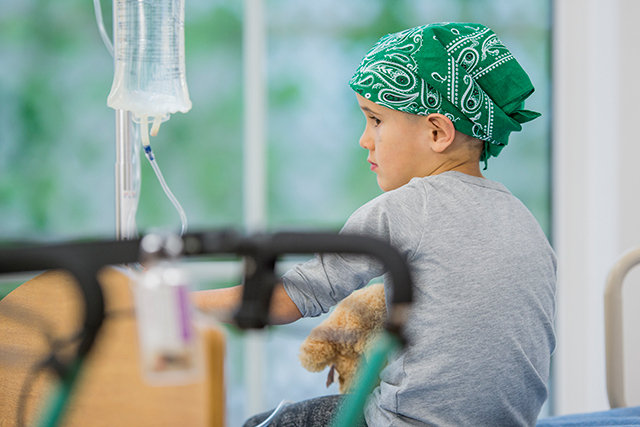 The toxicity profile for nilotinib among pediatric patients was comparable to that of adult patients, but a higher incidence of grade 3 to 4 hyperbilirubinemia was observed. The US Food and Drug Administration (FDA) approved expanding the indication of nilotinib (Tasigna®) to include treatment of pediatric patients (older than 1 year) with Philadelphia chromosome-positive chronic myeloid leukemia in the chronic phase (Ph+ CML-CP) in the first- and second-line setting. The FDA based its approval on findings from 2 prospective studies that enrolled 69 pediatric patients with Ph+ CML-CP, ranging in age from 2 to 18 years who were treated with nilotinib; study patients either had newly diagnosed disease or had progressed from or were intolerant of tyrosine kinase inhibitors (TKIs). Among patients with newly diagnosed disease, the major molecular response (MMR) was 60% after 12 treatment cycles, with 15 patients achieving MMR. As a second-line treatment, the MMR rate was 40.9% after 12 cycles, with 18 patients achieving MMR. The cumulative MMR rate was 64% and 40.9% among patients receiving nilotinib as first- and second-line treatment, respectively, after 12 cycles. The toxicity profile for nilotinib among pediatric patients was comparable to that of adult patients, but a greater incidence of grade 3 to 4 hyperbilirubinemia and elevated liver enzymes was observed in children. Nilotinib is now approved for all patients older than 1 year with newly diagnosed Ph+ CML-CP, pediatric patients older than 1 year with TKI-intolerant or resistant disease, and adult patients with Ph+ CML in the chronic or accelerated phase resistant or intolerant to prior treatment that included imatinib.